The oppo sub brand real me which hardly spent four month in the smartphone industry now become the most popular phone nowdays in India and in other countries. Realme is the new brand and when they launch their first phone realme 1 the company didn't expect too much success because it's a new brand and people mostly avoid buying new brand phone due to their improper service and lack of trust.But real me 1 just break the record by selling 4 lakhs unit in just 40 days which is a great achievement for a new emerging brand then after the launch of real me 2 it make another record which is much greater than realme 1 by selling 2 lakh units in just 5 minutes which is a very big number.It's real me hard work and dedication that they achieve this mile in just less time. 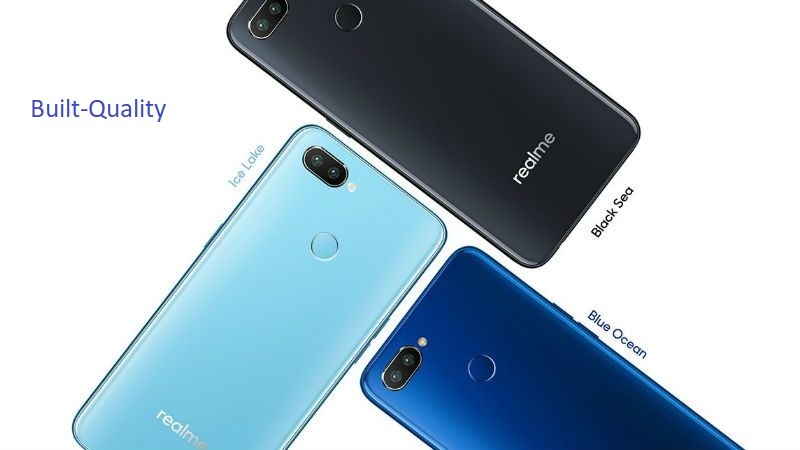 This success inspire realme to launch more smartphone at aggressive pricing then on september 27 they launch their real successor of realme 1 is realme 2 pro which gives you the most insane features at that price point. When the realme 2 launch the people are get dissapointed because they are expecting a good hardware which is more powerful than it's older brother but they downgrade with it 450 which is less powerful than P60.But company confirms that in next coming days they are launching the real successor of realme 2 which is realme 2 pro which give you the best specs with a real good hardware.The Realme CEO said that it's our mistake that they didn't give the right name to their phones the realme 2 is actually realme 1 lite and realme 2 pro is the actually real me 2 which I think is the best value for money deal in this price segment. The real me 2 pro has a composite back but it really gives you the feeling of glass.The realme just drop down their signature of diamond cut design and now they are using composite material which is also look's premium. in hand but I personally suggest for using TPU case which is comes with the phone because it is fingerprint magnet.The phone also have 3.5mm jack which is quite good.The phone doesn't comes with fast charger.The one best factor about these phone is that these phone comes with dedicated memory card slot which is a very good plus point. The phone has consist of 6.3 inches full HD+ dewdrop display with the aspect screen to body ratio is 90% which is insane in this price segment because you are getting a flagship quality display in this range.The screen looks very bright and colours are also very nice and it comes with 410 PPI resolution which makes the colours more saturated and punchy. Camera quality is also Improve as compare to previous one.The phone comes with 16MP AI dual rear camera and the aperture is 1.7 which click quality photos in low light condition. The sensor used in the camera is SONY IMX398 with EIS video Recording.The phone has also consist of 16 AI Detected scenes which give you extra boost to your camera. The phone consist of 16MP front camera which is very decent camera the phone has AI deep learning feature which make your photo more clear and saturated.It has 296 Recognition spots which detect your face deeply and clarify it very well. The realme 2 pro is comes with snapdragon 660 which is a mid to high processor which is fast & reliable.The 660 comes with AI which enables you to do smart work on your phone.The phone comes with adreno 512 GPU which is enough to play high games like pub g ,Asphalt and etc. The best thing about these phone is that it is optimised very well which is snappy and very fast.The company is still using the color OS and the optismisation in Color OS make the phone totally all rounder. 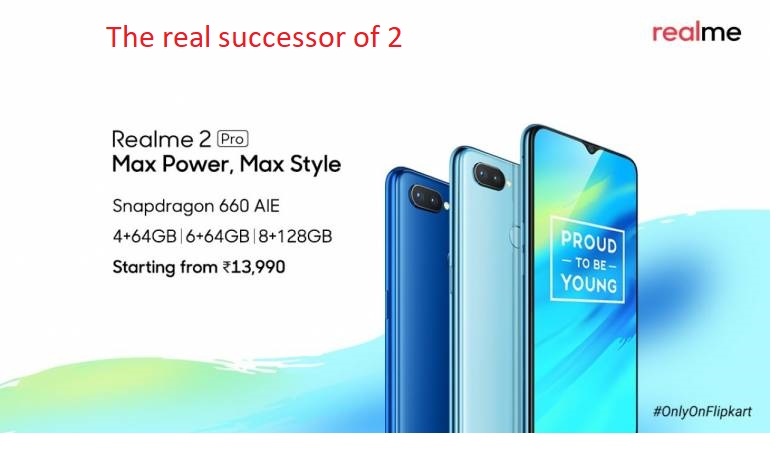 The realme 2 pro makes many record by becoming the first cheapest snapdragon 660 phone and the 8gb ram phone which comes under 20000. The realme 2 pro put the best price for these phone which is very aggressive and make this phone as the cheapest snapdragon 660 phone. These are the offers that you can buy from flipkart from 11th october. I personally recommend you to buy this phone if have the budget price between 13k to 19k.